The Fault in Our Stars (Prebound) | Copperfield’s Books Inc.
"The greatest romance story of this decade." 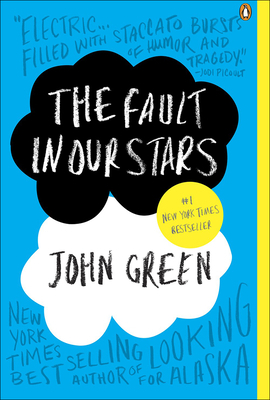 "Entertainment Weekly"
John Green is the award-winning, #1 bestselling author of "Looking for Alaska," "An Abundance of Katherines," "Paper Towns," "Will Grayson, Will Grayson" (with David Levithan), and "The Fault in Our Stars." His many accolades include the Printz Medal, a Printz Honor, and the Edgar Award. He has twice been a finalist for the "LA Times" Book Prize. John was selected by "TIME" magazine as one of the 100 Most Influential People in the World. With his brother, Hank, John is one half of the Vlogbrothers (youtube.com/vlogbrothers), one of the most popular online video projects in the world. You can join the millions who follow John on Twitter (@johngreen) and tumblr (fishingboatproceeds.tumblr.com) or visit him online at johngreenbooks.com.